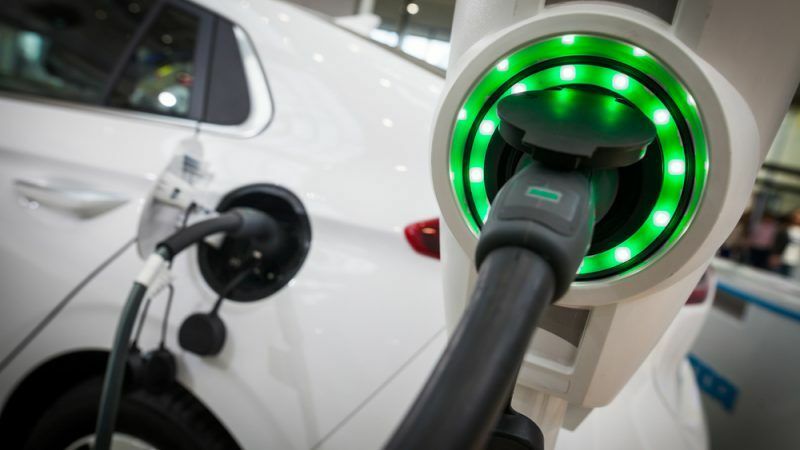 As cutting emissions out of transport gains in political and scientific importance, Diego Garcia Carvajal writes during European Mobility Week that the time is ripe to embrace electric cars on a grand scale. Diego Garcia Carvajal is electromobility coordinator at the European Copper Institute, an organisation representing the copper industry in Europe. While Europe’s electricity system is rapidly decarbonising and the EU is emerging as the world’s sole major economy on a path to low carbon, road transport emissions remain a challenge. Road transport contributes about one-fifth of the EU’s total greenhouse gas (GHG) emissions, and uses 24% of the EU’s final energy. Both have increased significantly since 1990. The good news is we have a solution ready for market uptake: the battery electric vehicle (BEV). From day one, it reduces GHG emissions by a factor of three and completely cuts local air pollutant emissions. A mass uptake of BEVs would significantly speed the journey towards a decarbonised road transport sector. Electrifying road transport is also a cost-effective way to achieve energy efficiency targets. A BEV has an average lifespan of 15 years and energy efficiency at least 2.5 times greater than an ICE vehicle. The efficiency in decarbonisation will further improve as renewables take up an increasing share of electricity generation. The benefits of battery vehicles—or, more generally, zero-emission vehicles—are clear: emission reduction, efficiency improvement, reduced oil dependency and system benefits to integrate renewables, to name a few. So, how do we generate uptake? Before the summer, ECI ran a poll among consumers of four member states (the Netherlands, United Kingdom, Germany and Poland) asking them to rank 30 different aspects of a transition to electric vehicles (EVs) in terms of importance. Six emerged as the most relevant: battery safety, battery durability, air pollution, driving range, energy efficiency and total cost of ownership (TCO). In other words, consumers are mindful of the environmental benefits of EVs (air pollution and energy efficiency), but convenience is also key (range), and so is cost (battery durability and TCO) and safety. We sent the same poll to a number of stakeholders/experts directly involved with the EV industry. Interestingly, despite the different levels of knowledge on electric vehicles, experts and consumers shared three of the four drivers: environmental benefits (air pollution and carbon footprint), convenience (driving range and everyday charging) and cost (TCO). On top of that, experts see the establishment of low and zero emission areas within cities as a powerful driver. Unlike consumers, they were not concerned with battery safety. The concept of mobility is changing. Car ownership is no longer the rite of passage it used to be. Electric vehicles suit the digitisation of transport: a key component of smart cities. There are lots of ideas on the table. General Motors, for instance, has an idea for small, self-driving cars providing personalised public transport in cities. Each street could have a couple available for immediate use. Once in the city, the mini-cars could find their next passenger. When no car is available, one could be ordered with an app indicating the waiting time. Electric vehicles also lend themselves to car sharing schemes, since there is no need for refueling. Recharging can be done at the parking spot. The transition to electromobility will start in cities. They could offer parking spaces for visitors in the periphery, allowing people to drive in with combustion vehicles, then switch to an electrified form of personal or public transport inside the town. Buses and delivery vans can also be easily electrified, and indeed are, in growing numbers. On the other end of the spectrum, there are bicycles, motorcycles, segways and a number of other small, personal electric vehicles gaining traction. It’ll be a while before we see widespread electric trailer trucks, boats or aeroplanes, but lots of development is happening in this field as well. To facilitate this electric future, we need to go back to basics. In the survey, consumers want convenience (driving range and everyday charging) and reasonable cost (TCO). That means investing in charging infrastructure, not least a network of highway charging stations to make longer-distance driving convenient. The average use of a car is around 60 km per day and the latest compact passenger cars (Renault Zoe, Opel Ampera-e, Tesla 3) have a real range around 300 km, which is more than enough for everyday use. In moving from a fuel-based to a material-based transport system, we also need to ensure materials are responsibly sourced, both socially and environmentally. Recycling chains need to be established, particularly for battery systems and electric motors. Some solutions already exist to recover materials—copper, for example—and the volumes are significant. The copper content triples when shifting from combustion to electric engines because of additional applications like the electrical drive train. In the coming decades, copper from batteries is expected to become the largest source of secondary copper. The heart of the electric vehicle is the battery, where Europe lags behind the US and China in manufacturing capability. There is a risk of Europe evolving from oil dependency to battery dependency. For this reason, the success of the battery initiative convened by European Commission Vice President Šefčovič is essential to maintaining a strong EU automotive industry. The EU has one last regulatory opportunity before 2030 to support the transition to low-carbon light road transport: the Post 2020 Light Vehicle CO2 Regulation, which is being negotiated right now. In 2017, the zero emission vehicle market share in the EU was only 0.6%. This regulation presents a great opportunity to press the accelerator by including a 20% ZEV target in 2025 with a 5% bonus and a 5% malus. This will send a strong signal to the market that Europe is serious when it comes to driving low-emission mobility.